Celebrate George Washington’s Birthday at Mount Vernon near Washington, D.C. Celebrate George Washington’s Birthday at Mount Vernon near Washington, D.C. Celebrate George Washington’s Birthday at Mount Vernon near Washington, D.C.
George Washington, the nation’s very first president, was on born on February 22nd, 1732. 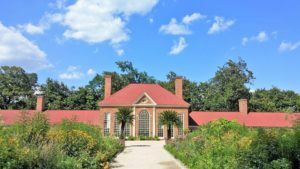 Two separate, fun-filled days full of historical adventures and activities are planned at his Mount Vernon home to commemorate his birthday. On both February 18th and 22nd admission is free at Mount Vernon and the day is filled with events for the whole family to enjoy. George Washington lived at Mount Vernon starting at the age of three. While he lived there nearly his whole life, he did not take ownership of it until the year 1762. At that time, he added on to the one-and-a-half story home, expanding it into the 11,028 ft. mansion visitors can see today. 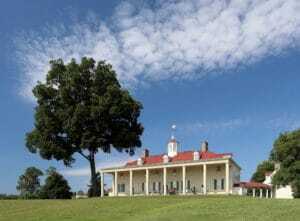 Mount Vernon is open every day of the week and offers a variety of activities to enjoy during your visit. Tickets can be purchased online, so we suggest that you plan your visit ahead of time. Mount Vernon offers tours of the mansion and grounds, as well as two places to grab a bite to eat while there. If you plan to eat at Mount Vernon Inn, also be sure to make a reservation ahead of time. On Monday, February 18th, admission is free to Mount Vernon for George Washington’s Birthday Celebration. Stop by from 9:00 am until 5:00 pm to enjoy various tributes and musical and military demonstrations taking place all day long. On Friday, February 22nd, admission to Mount Vernon is free again for George Washington’s 287th Birthday. Mount Vernon is open from 9:00 am until 4:00 pm and the day is filled with ceremonies to honor the First President of the United States. There will even be a life-sized painting of President Washington that will make for the perfect photo op. Even if you aren’t a history buff, Mount Vernon offers something for everyone. Located only 40 minutes from American Guest House Bed and Breakfast, Mount Vernon is something to add to your February plans. Visit our site to book your stay now and experience something you can only do in the nation’s capital.